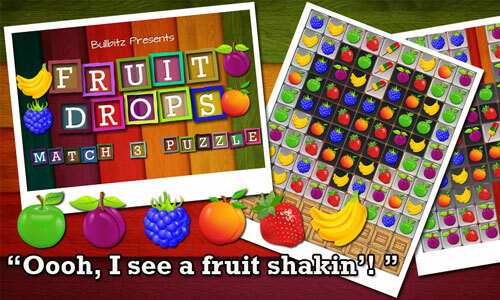 Fruit Drops begins as a simple match three board game and gradually increases difficulties as obstacles are added and level objectives becomes more challenging. 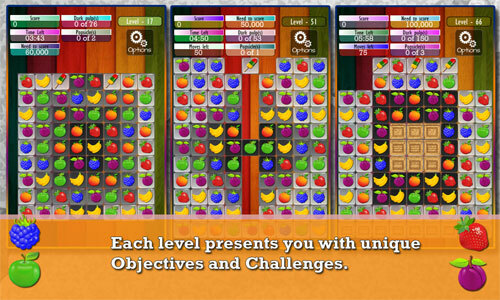 Fruity! 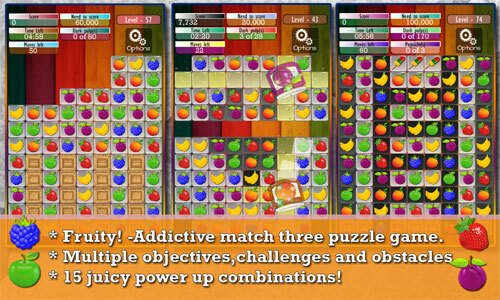 -Addictive match three puzzle game. 15 juicy power up combinations! 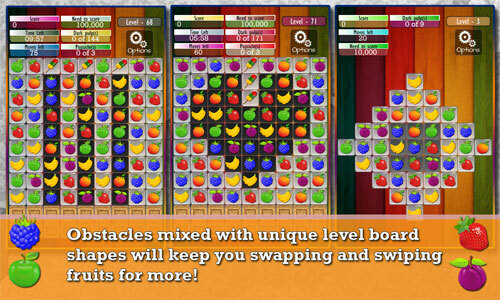 Obstacles mixed with unique level board shapes will keep you swapping and swiping fruits for more! Make delicious cascades. 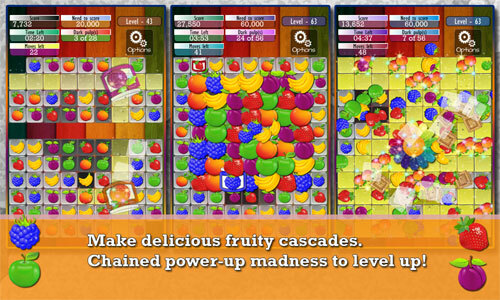 Chained power-up madness to level up!